Despite the fact that USDJPY was supposed to gain momentum after keeping the current monetary policy unchanged by the Bank of Japan, it moved downward. 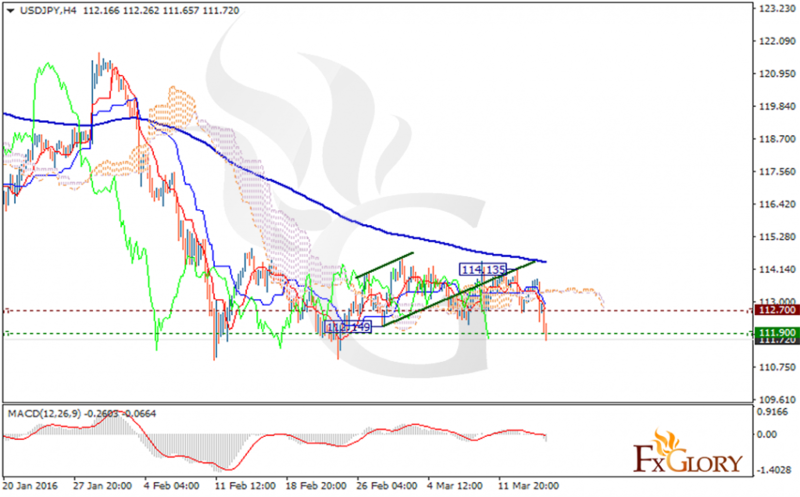 USD, on the other hand, had been affected by the published consumer price index for February. Considering the MA 200, the price had tried to cross the line but there is no sign of following it and bears are about to show up since the price is creating lower lows and lower highs. Now the support level is resting at 111.90 with the resistance at 112.700. There is a sell signal on MACD and Ichimoku indicator. The price is under the Ichimoku Cloud and the Chinkou Span. The Tenkan-sen and the Kijun-sen both are indicating downward trend. Sellers can open their orders at any price around the resistance level targeting the next support level at 111.150.